Join NESEA for this Pro Tour featuring a DER of a single-family home that was honored this year with a Best of the Best Award for 2018 from Efficiency Vermont. During this event, the hosts from New Frameworks will detail the process they followed to make this project a reality. The event will begin with a presentation that tells the story of the original home, the goals of the retrofit, and the steps taken during design and construction. Particular emphasis will be given to the materials selection process: attendees will learn how to select natural building materials, using carbon footprint and human health implications as the primary criteria, without sacrificing energy and budgetary goals. 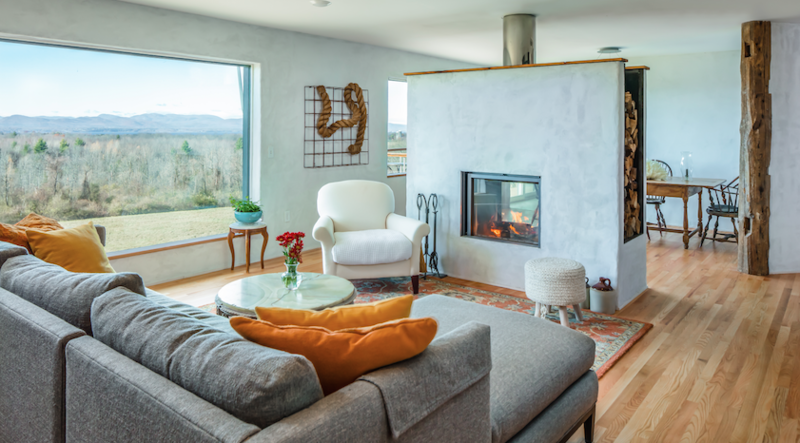 New Frameworks collaborated with the owners (a climate-change artist and a climate-change scientist) to transform the existing 60s ranch home with stunning views of Lake Champlain into a space that reflects “contemporary pastoralism” and the couple’s sustainability values. The resulting product is a home of artistic, ecological, and performance interest.